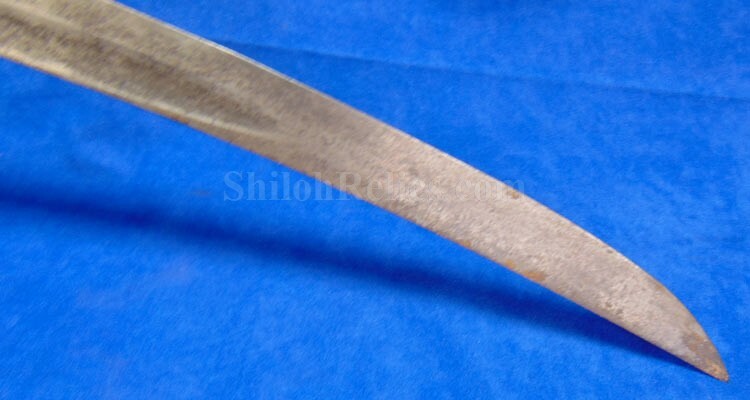 Here is an original pre-Civil War officer’s sword. 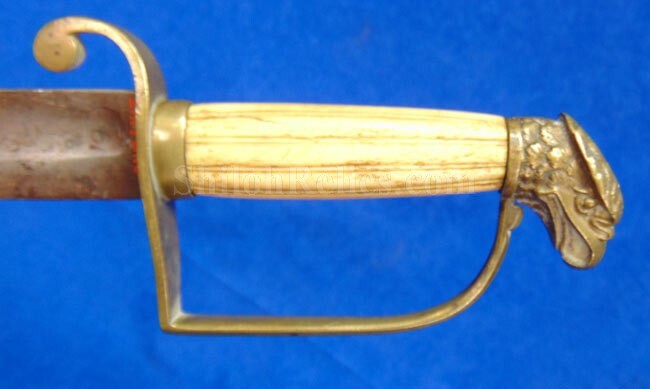 This is the style known to collectors as the Eagle pommel sword. Obviously they get their name from the large brass pommel cap that is on the end of the grip holding the sword together. 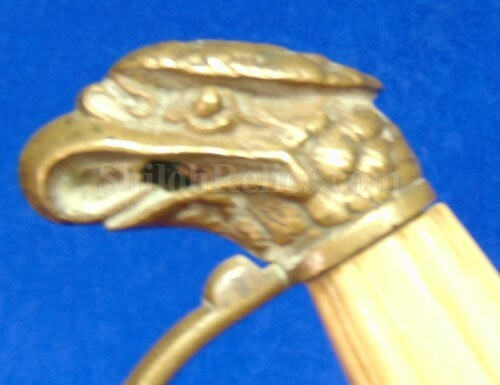 This one has the original eagle pommel intact as well as the brass hand guard. 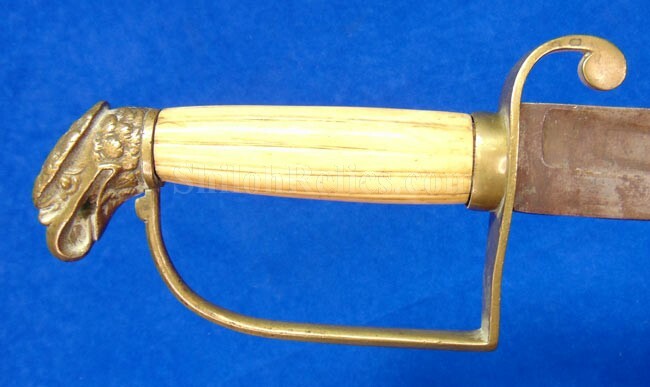 The brass guard of this sword has a fine look with the classic "P" shape. 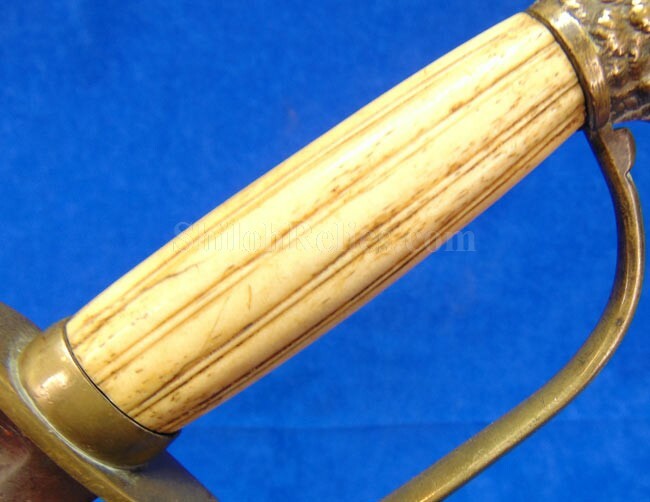 The pommel cap and the guard have a beautiful ancient tone to the brass. 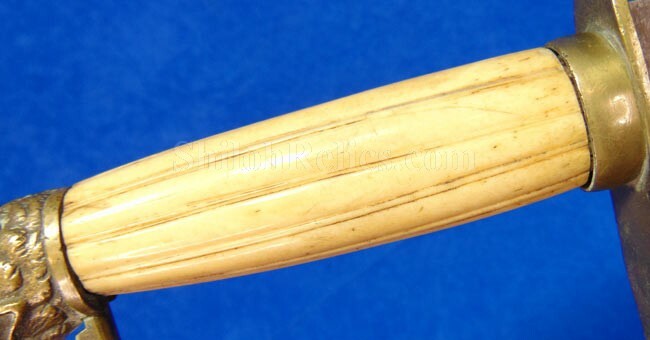 The handle is made of bone and displays well from both sides. The blade is full length at 28 inches. 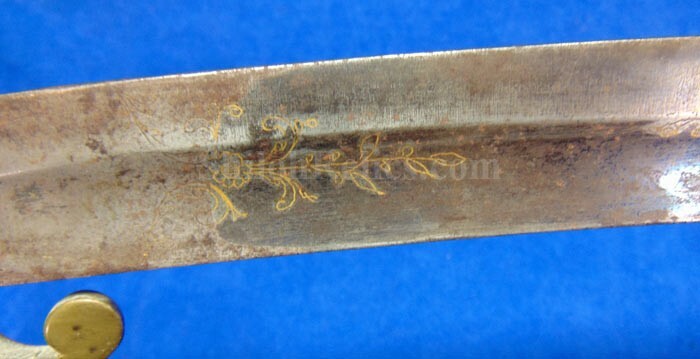 It is engraved on each side with floral and patriotic designs. It still retains a trace amount of the factory blue and gold finish. These swords were quite popular with officers during the 1830’s to the 1850’s. Some of them saw continued service into the Civil War because of necessity. It would have originally had leather and brass scabbard. 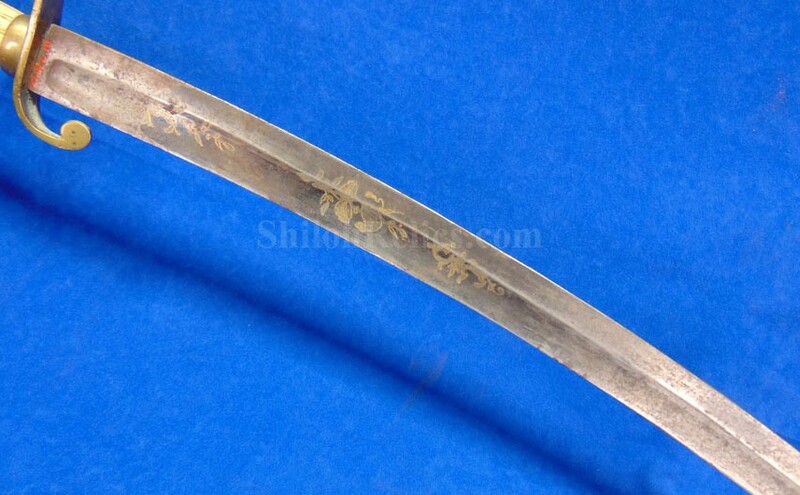 Because of the material used for the scabbard and the deep curve of the blade they are almost always missing the scabbard as this one is. 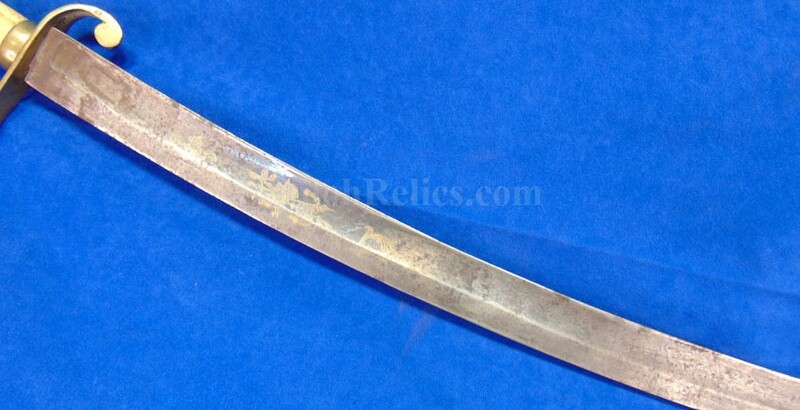 This is a nice looking and still affordable officer’s sword.